Good morning SCT friends! Nicole here today to share with you a great and easy way to start the new year! A mini album you can make in just a few minutes. Yes, you can! 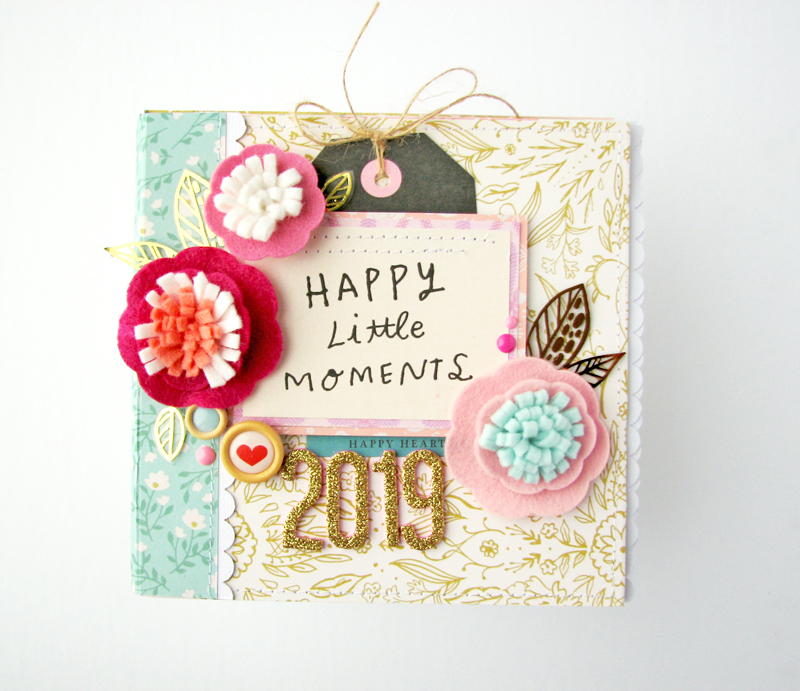 With just a few sheets of paper, you can create a simple mini album that you can use to record some memories throughout the year. I left the inside of my album quite simple to start, and plan on filling up a page a month for each month of 2019! I am not 100% sure what I will record, but I do plan on taking a photo just of myself for the month because I think we always forget to record those behind the camera – am I right? Thank you for stopping by today. Join us tomorrow for a Creativation recap! Great idea! How cute and easy!💕Thanks for the inspiration! Wonderful idea, and it comes together really quickly. I’m going to give this a shot! I can’t wait to this. Still needing to put my Christmas 2018 together, think I’ll go this route. Love this little album. Love your Mini Album! Thanks for the video! What a great idea and a super adorable mini album. This would be cute for other projects too, thanks for sharing. I love this idea and am trying to make one. However, I have watched this video multiple times and cannot figure out how to fold the paper or exactly where to put the chipboard as the illustrator goes soooo fast. So cute ! Need to make one of these for this. Year !